It happens. You misplace your iPhone and it doesn’t show up in your initial search of your house. Quickly, you just think, I’ll call it from my land line (yes, many of us still have those) or another phone and it occurs to your that your phone is on vibrate and can’t be heard. At this point, you show know about Find iPhone function and app that will play a sound on your device regardless of your ringer setting. How to Find your iPhone/iPad? Find your iPad function is turned on and configured. Your options are more limited if you lose your iPad and remember at that point that you never turned the function on. You have access to another Apple device, laptop or desk machine that can access the internet and www.icloud.com. IOS 10.3 (current) or later tap Settings > [your name] > iCloud. IOS 10.2 or earlier, tap Settings > iCloud. Scroll to the bottom and tap Find My iPad. Slide to turn on Find My iPad and Send Last Location. (Green means on) Send Last Location will send Apple the last location as a battery dies. Critical if some time passes before you recognize that your iPad is missing. 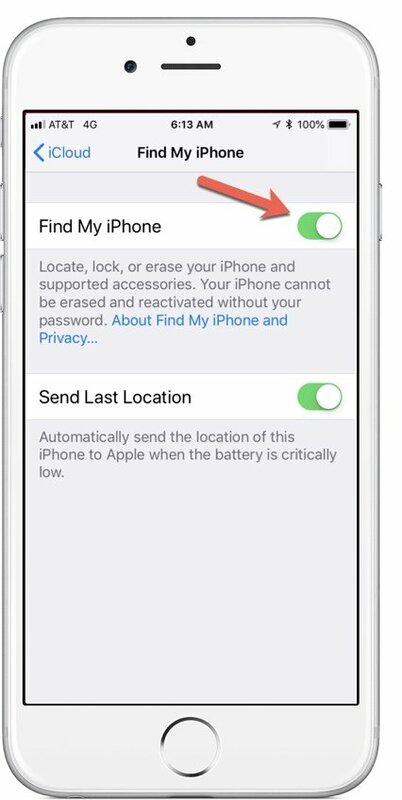 There are options when you need to use the Find Your Iphone function. You can either use the iCloud.com web site or use your or another persons iPhone or iPad. From a web browser, access www.icloud.com/find. Your device location(s) are displayed on a map. The process will look for all devices associated with this Apple ID. If you have more than one Apple device, select the desired device from the pull down at the top of the screen. Choose Play a Sound and listen for the loud sound coming from your lost iPhone. You will also see a notification on your iPhone about the Sound request. It is so easy to misplace your phone in your home, car or other location. The Find iPhone function is an essential but hidden feature. See Senior Tech Recipe #122 How to find your (lost) Parked Car for more complete coverage.